Social networks are hot. People like to connect, and marketers could potentially make a killing with access to your social graph. Facebook alone is currently valued at $6.5 billion. Even Google’s getting in on the action through Google Friend Connect. Imagine, then, the value of a service to create your own social networks. Ning, the hosted social network solution from browser inventor Marc Andreessen, just raised $15 million from Lightspeed Venture Partners. This latest investment round values the startup at — get this — $750 million. That’s pretty good for a freemium service without its own advertising platform, especially since only three percent of its network creators actually pay for ad-free service. Free self-hosted social networking scripts abound on the Internet, but the average community leader has neither the time nor the patience to install and maintain such scripts. Ning could do for social networks what Blogger once did for blogs — idiotproof them for the masses. 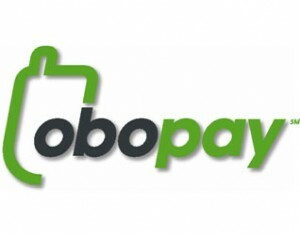 Payments provider for mobile phones Obopay, Inc. announced that Nokia has invested in the company, an endorsement of its ongoing innovation in mobile money technology. Obopay will use the minority investment to aggressively extend their product suite and enhance their global presence, as mobile devices become constantly more integrated into the daily lives f the world’s 4 billion mobile customers. “This investment is a landmark in the evolution of mobile payments. It underscores the global potential of mobile money by providing convenient access to money anytime, anywhere. Given Nokia’s position as the leader in mobile communications, we could not have asked for a better investor,” Obopay CEO Carol Realini said. Financial details of Nokia’s investment were not disclosed. Online video management and advertising platform Auditude has secured an additional $10.5 million in funding from Redpoint Ventures along with existing investor Greylock Partners. Redpoint and Greylock have between them backed market-leading companies such as DoubleClick, Right Media, Facebook and MySpace. Auditude plans to use the new funds to expand its leadership position in video management and monetization for content owners and publishers across the web. 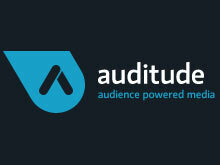 Auditude enables content owners, publishers and advertisers to benefit from the distribution of video on the web. The company combines their highly accurate and patented fingerprinting technologies with a robust ad platform to simplify video distribution and advertising. The company also has partnerships with some of the world’s largest content and publishing companies including MTV Networks, Warner Bros. Entertainment, and MySpace. 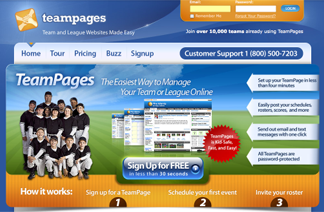 TeamPages, the online social network assisting coaches, parents, and athletes to organize their teams and athletes, has completed its second round of funding led by Burda Digital Ventures, W Media Ventures, and angel investors. With this new injection of financing, TeamPages will further develop its newly launched League and Club Management software and expand into larger youth sport associations, leagues, and clubs across North America. Last month, TeamPages celebrated having its 10,000th team join its community. Users include organizations like the Manhattan Beach Little League, one of the largest Little League Associations in America and intramural programs at the University of Victoria, and the University of Oregon. DriverSide has secured $5.3 million led by new investor Allegis Capital with participation from original investor Catamount Ventures and the companyâ€™s founders. The funding will be used towards investment in revenue-generating partnerships with automotive services companies looking to reach car owners, and to accelerate DriverSideâ€™s product development. The new round of funding brings DriverSideâ€™s total venture capital funding to $8.4 million. DriverSide also announced a partnership with Integrated Services (ISI) the maker of LubeSoft . DriverSide will build online â€œgaragesâ€ for ISIâ€™s operator customers, helping them provide an end-to-end ownership experience for their consumers. ISI operates in over 2,500 locations around the US. DriverSideâ€™s partnership with ISI is designed to help fast lube operators optimize relationships with their customers. Once created, the garage is automatically updated with vehicle service histories and is fully customized to the needs of the consumer and his or her vehicle. Automatic email reminders about servicing, recalls, parts and other ownership needs, keep consumers engaged and informed about extending the life of their vehicles.